Keeping with the Protestant Reformation theme for the postings in October, T. C. Johnson’s book, John Calvin and The Genevan Reformation: A Sketch, Richmond, 1900, will be the subject of this antiquarian review. The book is available in PDF on Presbyterians of the Past and can be downloaded by clicking Download Now! However, before getting into the book some biographical information about its author will be given. Thomas Cary was born in Monroe County in what is currently West Virginia, to Thomas J. and Virginia Hinchman Johnson, July 19, 1859. His education included the University of Virginia, Hampden-Sydney College, Union Seminary, and studies at Yale. His first work was in Austin Seminary where he taught Old and New Testament interpretation, then he moved to Louisville, Kentucky, in order to serve a short call to the Third Presbyterian Church. In 1891, he returned to Union Seminary where he would continue as a professor until his retirement in 1930. 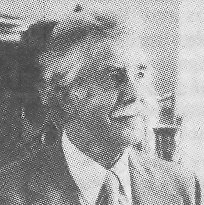 He authored and edited several books and contributed many articles to Union Seminary’s serial publication. Dr. Johnson and Ella Faulkner Bocock were married at Appomattox, December 26, 1894. Thomas Cary Johnson died February 15, 1936.
intended to serve as a supplement to class-book instructions, to correct, as we see things, some current misrepresentations, and to give emphasis to certain features of Calvin’s teaching and life adjudged by us to be of special value as means to the enlargement of Christian manhood and the production of holy living. Chapters 2 through 4, which combined have a length of about fifty pages, include the narratives covering the first three eras. 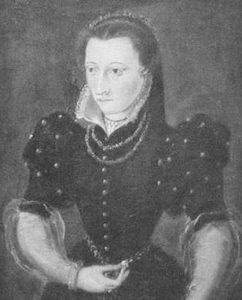 These pages provide the basics regarding Calvin’s life beginning with his birth in Noyon, France, July 10, 1509, then continuing through the death of his wife, Idelette de Bure, in 1549. However, Dr. Johnson also presents some comments regarding the Genevan’s work. For example, it was during Calvin’s exile in Basel that his first edition of the Institutes was published in 1536. 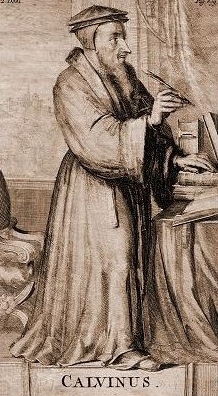 Calvin commented in his preface that the purpose of the Institutes was to “exhibit the simplest elements of Christianity, and thus to lead those who had already some love of the gospel to the knowledge of its principles,” and he added that he had a particular concern for the spiritual welfare of his French countrymen (21). When the Institutes were published in succeeding editions beginning with the second in 1539 and ending with the final version in 1559, the fairly brief book of doctrine had grown in length considerably. The final version was five or more times the size of the first edition of 1536. Johnson notes that as the work was reprinted and expanded it continued to have the same basic elements of the first edition, but the increasing size allowed Calvin to expound the basics and their details with more precision. The focus of chapter 4 is, as Johnson expressed it, Calvin’s establishment of Presbyterianism in Geneva. 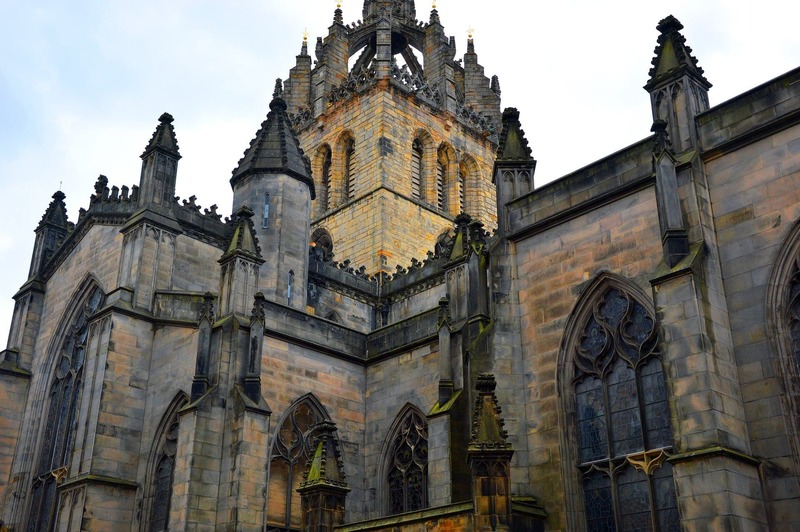 Early in 1542, the ecclesiastical ordinances were adopted by the citizens of the city. Johnson summarized the principles of the government in four points, a self-governed church under the headship of Christ, equitable application of discipline to all church members and officers, a consistory or parliamentary court consisting of ministers and ruling elders to exercise discipline, and corresponding with the third point was recognition of and reinstitution of New Testament ruling elders. As is generally known about Calvin’s Geneva, despite his concern for the separation of church and governmental powers, the state was involved in the ministry of the church. Even though the principle of having “elders of two classes—ministers of the gospel and ruling elders” was official teaching, the selection of the elders was accomplished by the consistory, which was a presbyterian court but it was subservient to the government (54). Dr. Johnson summarized the situation. The great fault with the application of this feature of Calvin’s policy in Geneva was that the communicants had too little power in the choice of the rulers; that the state had any power in the case, and that the consistory recognized that it was in some sense an instrument of the state (56). Johnson observed that even though John Calvin’s work to develop presbyterian polity in Geneva was corrupted by powers beyond his control, he believed that the “bishop is an elder and the elder a bishop,” and he generally taught the parity of the ministry. 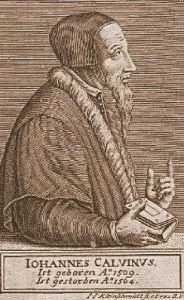 Further, Calvin taught “that among these New Testament officers, called indifferently elders or bishops, there were two classes” (56). Not only did Calvin revive the office of elder, but that of the deacon as well. Deacons were elected in a manner similar to that of elders and they also served two functions—the first diaconal function involved those who administered the alms that were collected, and the second function included those who cared for the sick and provided food for the poor (57). 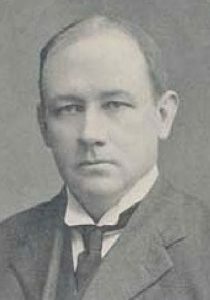 For a later work by Johnson on Calvin and presbyterian polity see his lecture, “Calvin’s Contribution to Church Polity,” 57-88, Calvin Memorial Addresses: Delivered before the General Assembly of the Presbyterian Church in the United States, Savannah, Georgia, May, 1909, Richmond, 1909. Chapter 5 concludes T. C. Johnson’s study of Calvin with his final years, 1549-1564. As Johnson opened the chapter he commented that during Calvin’s last fifteen years of service to the church his labors “were in considerable part controversial and polemical, but with the double end of the conservation of the truth and the union of all Protestant bodies” (64). On the one had, Calvin detested theological error, but on the other hand, he wanted unity for the churches. He continued to write biblical commentaries, publish sermons, compose tracts, and polemical pamphlets, but Johnson contended that his publishing work and his involvement in even the minutest details in Geneva were second to his desire for unity. When Johnson wrote of Idelette’s death at the end of chapter 4, he hinted that her loss may have in some way stimulated Calvin to pursue church unity as he lived his life without her. 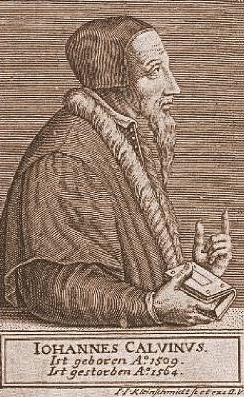 Calvin’s authorship of the Consensus Tigurinus, 1549, led to an agreement regarding the views of the Geneva and Zurich churches with regard to their understanding of the Lord’s Supper. 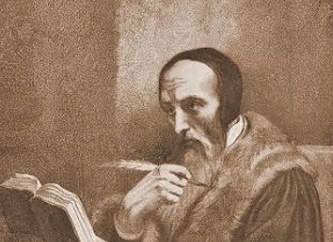 A key to the success of the Consensus was Calvin’s emphasis on the importance of the work of the Holy Spirit for one to profitably partake of the supper. The entire text of the Consensus Tigurinus is included in the chapter. In conclusion, this review will return to a comment made by T. C. Johnson in his preface. 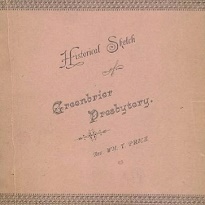 As was mentioned earlier, the content of the book was first delivered in a series of lectures that were intended to supplement the general curriculum of his seminary students. However, he also proposed that the lectures could benefit the church further. It is hoped by some of our wide-awake pastors that history classes may be formed amongst their young men and women for the common study of the past of our own faith, polity, worship and life, and thus the life of the present church be deepened and broadened by close contact with those great epochs in the Reformed faith in which God opened the windows of heaven and poured out his blessings upon his waiting church. We have not been able to throttle the wish that this little book might come to be so used; and if that should happen, we would undertake, with the blessing of God, to follow it soon with similar sketches on the Reformation in the Netherlands, in England, in Scotland, and in France (6). Dr. Johnson and his alert pastor friends hoped that his book would be used to teach young people about the history of Presbyterianism including not only its Calvinistic doctrines regarding salvation (i.e. soteriology), but also the polity of the church, its rule by elders, and its ministry of mercy by deacons (i.e. ecclesiology). His point seems particularly significant today given the lack of interest of many Christians regarding how the church is governed. This indifference can be traced not only to a lack of Bible knowledge on the subject, but also to little or no instruction regarding church history and ecclesiology. Dr. Johnson’s motivation for his emphasis on presbyterian polity may have been simply to encourage the study of church history, but he may also have viewed it as remedial for students entering seminary deficient in their knowledge of church history and polity. However, the study of church history is not only important for the simple knowledge of its people, events, and chronology, but also to illumine learners to the debt owed to those who have gone before and increase their own assurance through the faith exemplified by their spiritual ancestors. Notes—The picture of Johnson was provided by the PCA Historical Center, Wayne Sparkman, Director. The cover of Johnson’s book is from the author’s collection. 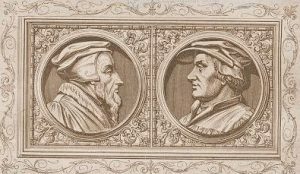 The picture of the two profiles shows Calvin on the left and Zwingli on the right, and it and all the other images are from Wikimedia Commons. Johnson quotes a lengthy paragraph written in Bungener’s Life of Calvin, 233-234, that is a moving expression of his perception of Calvin’s great loss when Idelette died. Maybe, with Idelette no longer around to care for the practical things of life—food, fire, and friendship—her passing expedited his own death due to his lack of concern for his earthly temple. For an index of the Union Seminary serial mentioned in this review, follow this link to the PCA Historical Center where a free PDF index is available.